Built at The Nautical Arts Workshop. Quarter inch Okoume plywood was used for the lapstrake planking. 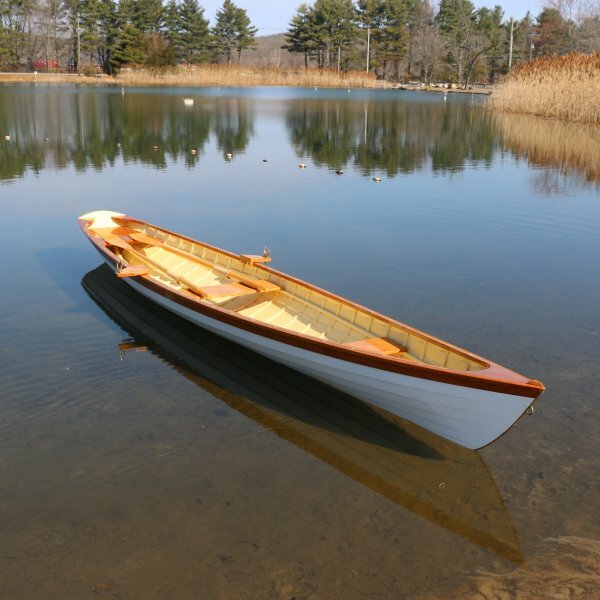 The transom, gunwale and seats are made of cherry. The paint is from George Kirby.